It was Brienne's 15th birthday this last Saturday. Brienne is a very social person, an extrovert with a lot of friends. Our birthday budget is small. We live in small-ish apartment, we don't have space for a large group of teens to "hang-out" as the activity. And it's November. You can't host an outdoor gathering or plan an outdoor activity for this time of year in Montreal. Earlier in the month Brienne and I decided not to get stuck on details. We chose a date and sent out email message invites. The most important thing was scheduling a time and making sure friends knew about it and could plan to come. It wasn't until last week, five days before the party, that we sat down to actually "plan" the party, the menu, the activities. Somehow in just five days of planning we managed to pull off a great 15th birthday party. A party that celebrated who Brienne is and what she loves, provided an activity for 10 teenage girls, fit our space, and our budget. 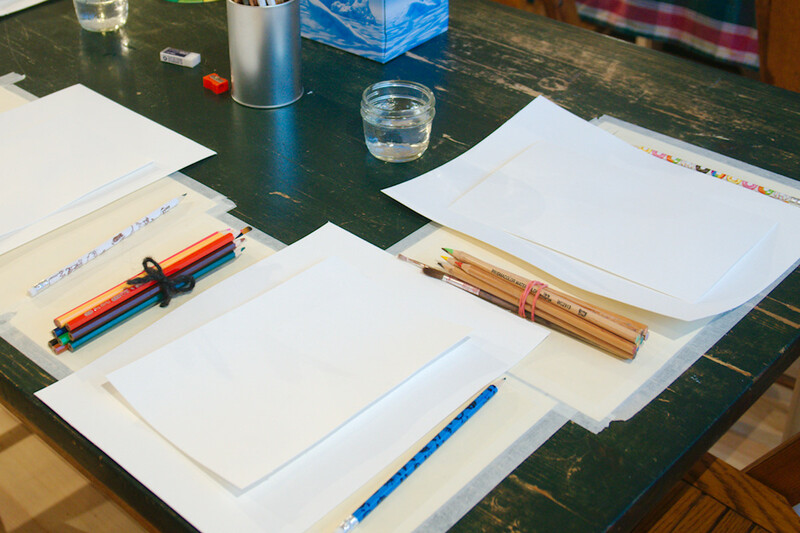 We hosted a Craftsy watercolor painting party. I can't take credit for the idea. When Brienne and I finally sat down to discuss party details, 5 days before nine girls would fill our apartment with their long limbs, sparkly gift bags, and the smell of hair product, I remembered that we have a local friend who is a watercolor sketch artist and illustrator. 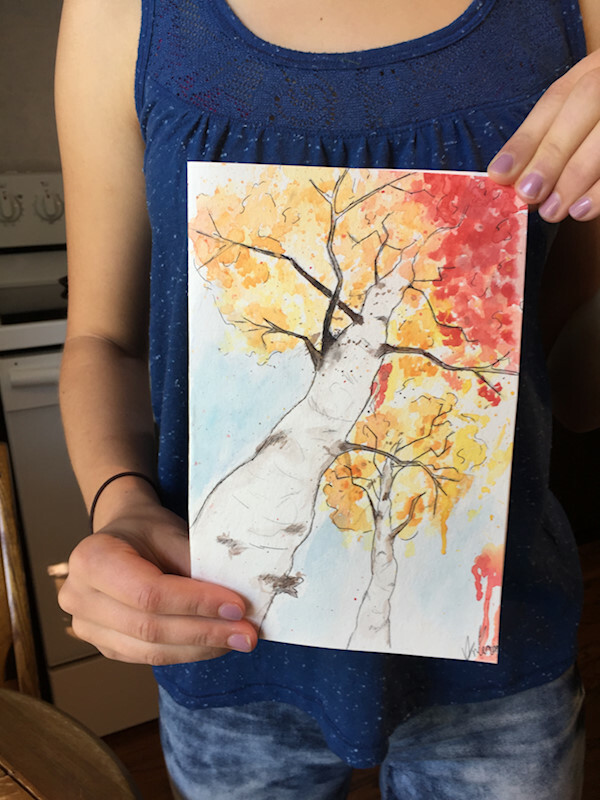 My idea was to ask her to come teach us how to sketch and paint a watercolor scene. I emailed our friend, "can you come teach us a lesson?" Our friend was out-of-town but suggested we check out courses on Craftsy. So with four days to go till the party I started scouring Craftsy for possible tutorials. 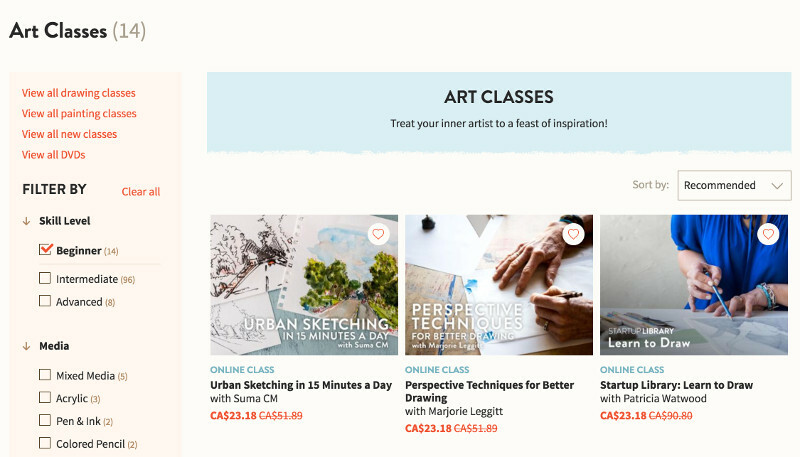 Craftsy offers professionally-produced online courses in quilting, sewing, knitting, crocheting, paper crafts, cake decorating, cooking, gardening, photography, art, jewelry and more. Students can interact with their award-winning instructors and each other in the online classroom and watch their classes anytime, anywhere. 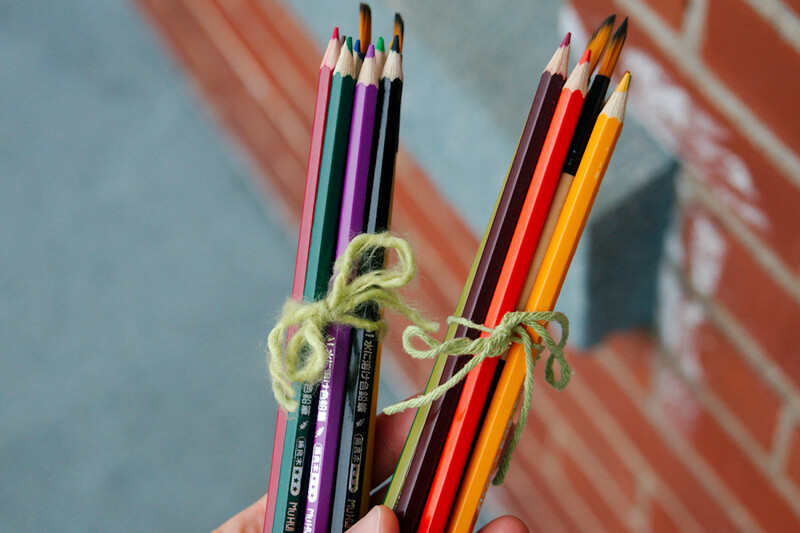 In addition, Craftsy sell supplies for your crafting project needs. Our focus was watercoloring painting, which helped us narrow down a selection from the hundreds of options available at Craftsy. Because we were hosting an afternoon party and not an all-day event or multiple day event, we choose a class that would accommodate this structure. We settled on Painting with Water-Based Media: Acrylic, Watercolor & Gouache by Nina Weiss. 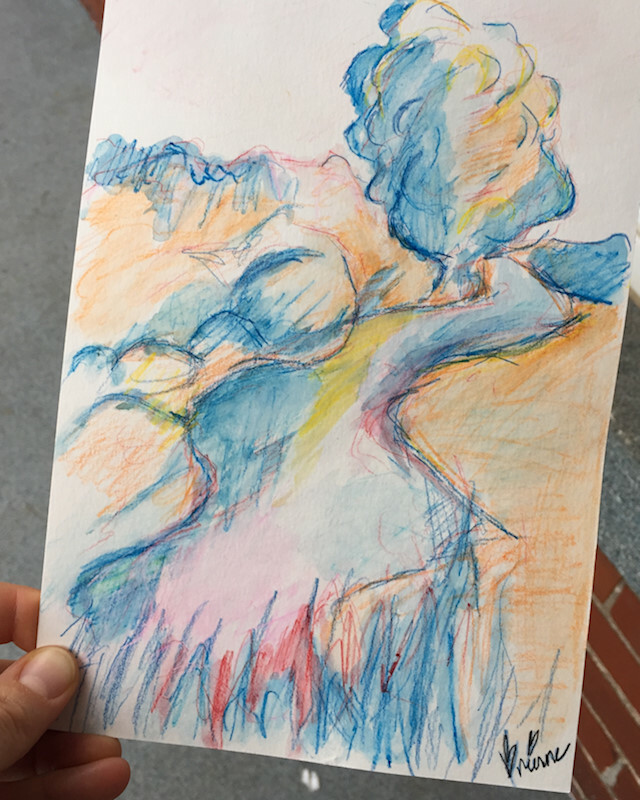 We choose this class because it was a beginner level course and the teaching is divided into distinct media: gouache, watercolor, water-based colored pencils, and acrylics. This allowed us to choose one topic, water-based colored pencils, for our afternoon birthday party. Brienne used her birthday funds (the amount we set aside for birthdays to be spent on some combination of gift/party/birthday activity) to buy paint supplies - watercolor pencils, watercolor paper, paint brushes - to be used by and given to her guests as party favors. We purchased the Craftsy class with our bonus from Handmade with Love Super Bundle. And a Craftsy Art Party was born. 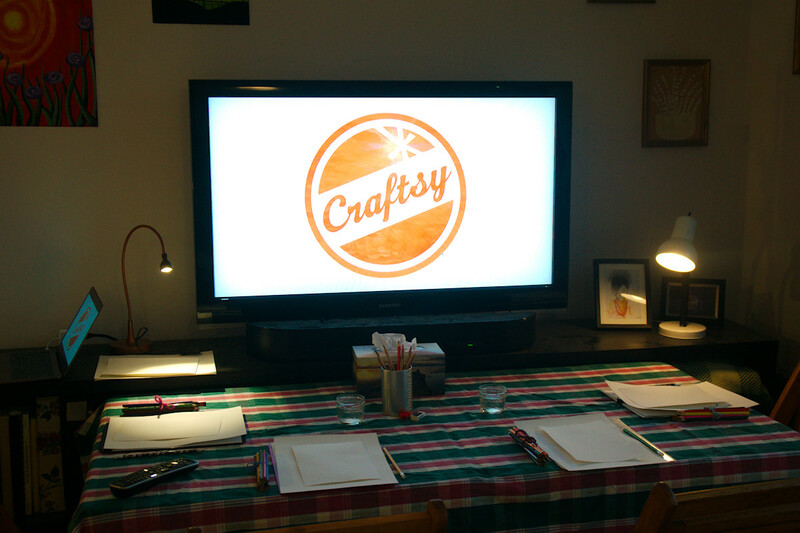 Craftsty art parties don't need to just be for a birthday party. Here are a few contexts that Craftsy classes can be used for group gatherings and parties. Hosting your own Paint Nite type classes. A season long crafting date with friends. Ex: Meet four nights, or four Saturday afternoons throughout winter, to learn a craft together. homeschool co-op or similar "youth class" context (4-H, Scouts, etc) to teach young adults art and craft skills over the course of several weeks or months. 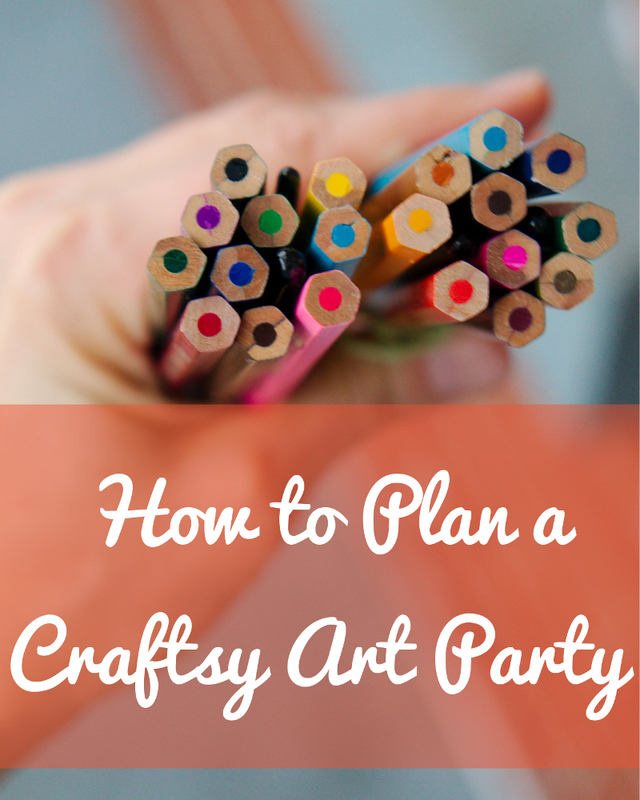 If you plan a Craftsy art class, here are a few things to consider to make your party/event/class a success. Obviously start here. In our case, we went with Brienne's interest in watercolor because it was her birthday party, birthday girl privilege and all that. In other contexts you might want to poll the group to choose a topic. We chose a beginner watercolor class because of the skill level of Brienne's friends. You can search for classes based on type of craft and narrow your search term based on skill level, technique, media, etc. depending on the art/craft. Craftsy courses are not designed for children, but they are appropriate for teens. They may also work for younger children depending on skill and interest of child but you'd definitely want to make an honest assessment of attention span and skill level before hosting a group of children for a Craftsy class. The Craftsy class you choose will depend, in part, on how many people are in your group. Some activities lend themselves better to larger groups. With ten girls in an apartment I knew we needed something that would essentially fit in our hands or on a small table space. Some Craftsy classes are well suited to small spaces and use easily sourced and relatively inexpensive tools, Hand Embroidery for example. Other classes - cake baking, photography, using a serger, etc. 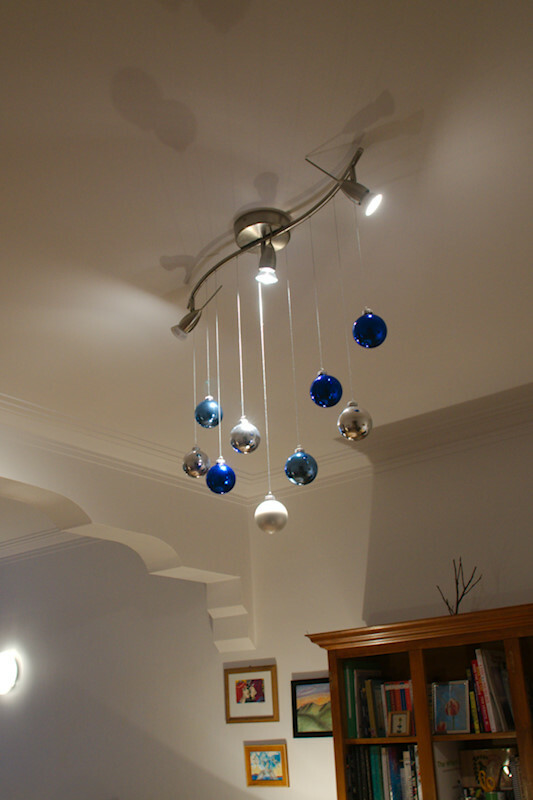 require extra space, special tools and appliances. Consider your space and available tools when choosing a class. But also, think outside the box, or outside the living room/studio. I know a lot of teens who would appreciate a Mobile Photography class, and already have the tool in their back pocket, literally. We only had 2 hours for our activity so we found a Craftsy class that would fit this criteria. Our watercolor class had several components and we chose one project within the class, landscape with watercolor pencils, for our party. 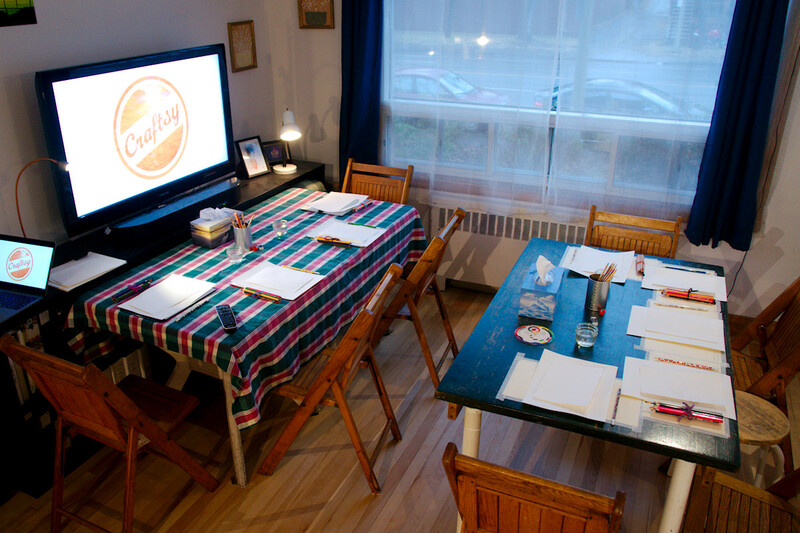 If you have multiple gatherings, an evening craft night for example, you can progress through a complete class. I previewed some of the class material ahead of time to know where to stop and start the lesson and what other parts of the class to include, color theory for example. One of the reasons we chose watercolor pencils for our activity was because it was an affordable option within the Painting with Water-Based Media class. The class you choose will depend in part on how much you want to spend for the materials. Brienne plans to go through other parts of this class to learn how to use her watercolor paints (she received a quality set as a birthday gift from her sister). There is a lot more teaching in the class that she can watch on her own and the supplies are cheaper for one kid than for ten kids. Some ideas for classes with inexpensive materials include: My First Socks, sketching classes, and Homemade Chocolate Candy. There are so many more to choose from. But these classes can also be used to teach groups of people in various contexts. It would have never occurred to me if our friend hadn't pointed me in that direction. Right now, the Handmade with Love Super Bundle is on sale. This bundle is all about fiber and fabric handcrafts. I've got this bundle in hand and plan to crochet a rug this winter from one of the resources included. There are great ebooks, courses and videos in this bundle, including a bonus Craftsy class up to $70 value. The limited time offer for the bonus Craftsy Class is expired, but you can still buy the bundle here or Craftsy classes here. Craftsy classes are an excellent way to learn a craft, practice a skill, hone your technique. These are high quality productions with excellent teachers. Classes include downloadable instructions, materials lists, and interaction with the instructor and other class participants. You can host a party with these classes, you can go through the lessons privately as a winter project, you can provide art or craft classes for your kids, or a group of kids. There's so much you can do with a Craftsy class. Karen Toews on Nov. 28, 2017, 9:28 p.m.
Oh what a great party idea (with a fair amount of effort from you and Brienne- kudos to you both!) She and her friends must have loved it. The bundle looks amazing and so tempting :) just not in a craft-headspace in life right now.